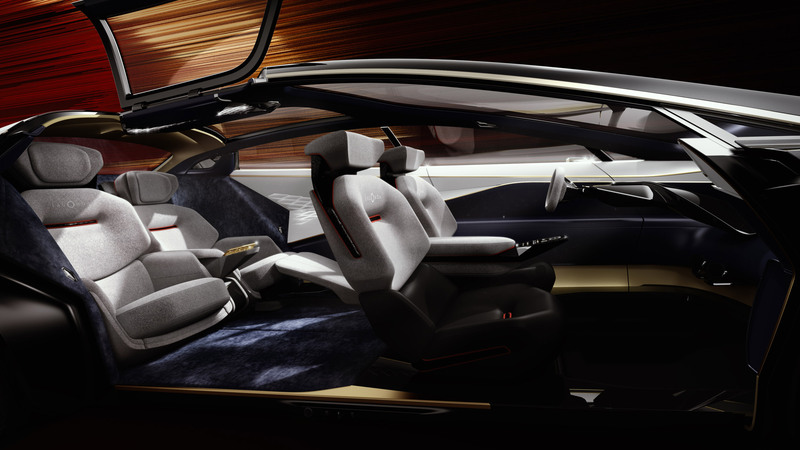 Aston Martin has revealed an all-electric concept vehicle at this year's Geneva Motor Show, which features a plush interior made from cashmere, silk and carbon fibre. 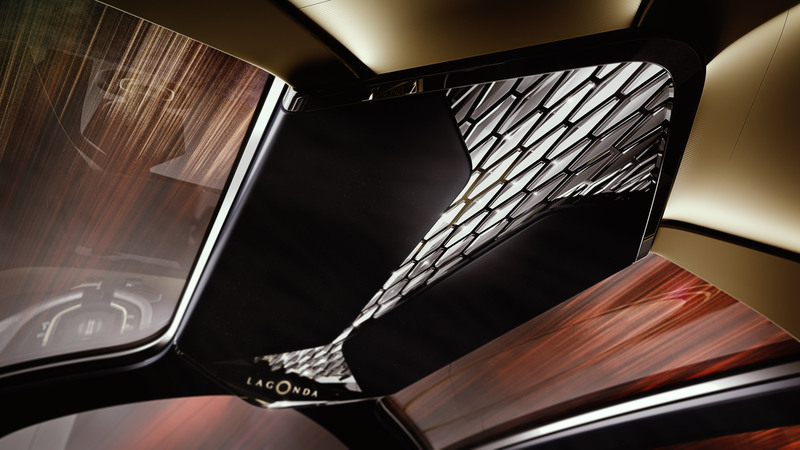 Aiming to fuse "true luxury" with modern design, the new model pairs traditional silk carpets and hand-woven wool upholstery with carbon fibre detailing and functional ceramic tiles, which open and close to control the ventilation and adjust the music volume. 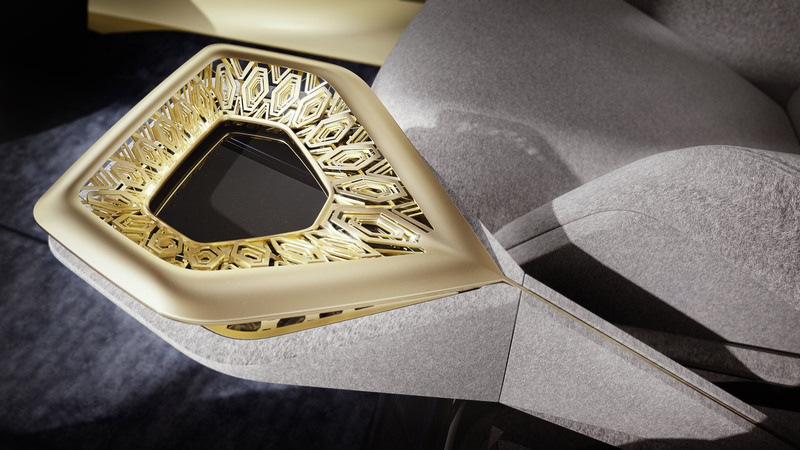 "We believe people associate luxury in their cars with a certain traditional and even old-fashioned approach because, to date, that is all that’s been available to them," said Aston Martin CEO Andy Palmer. 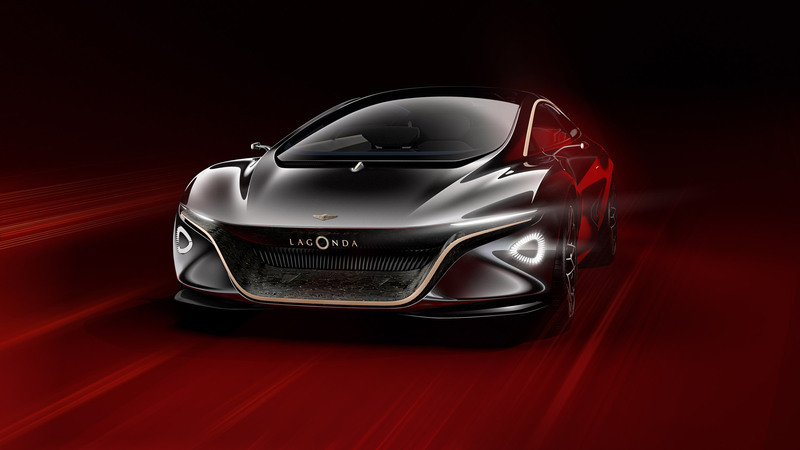 "Lagonda exists to challenge that thinking and prove that being modern and luxurious are not mutually exclusive concepts," he added. 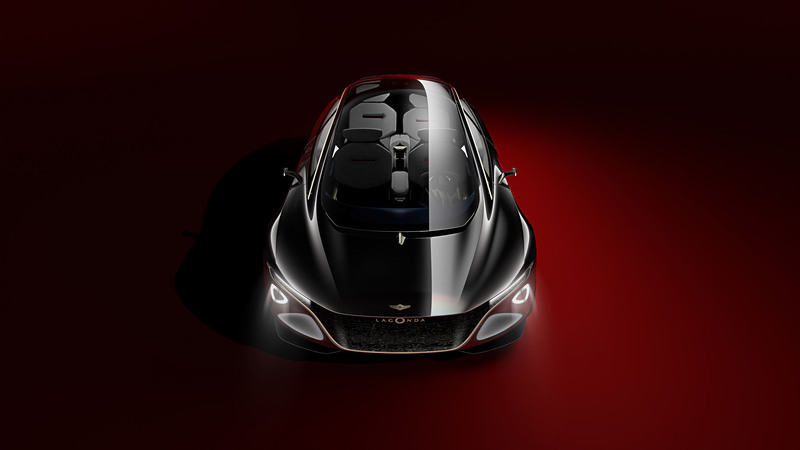 British craftsman, and former chairman of Christie's Auction House, David Snowdon, was therefore commissioned to design the interior by Aston Martin for "his ability to marry materials, some very modern, others very established in ways that are never predictable." 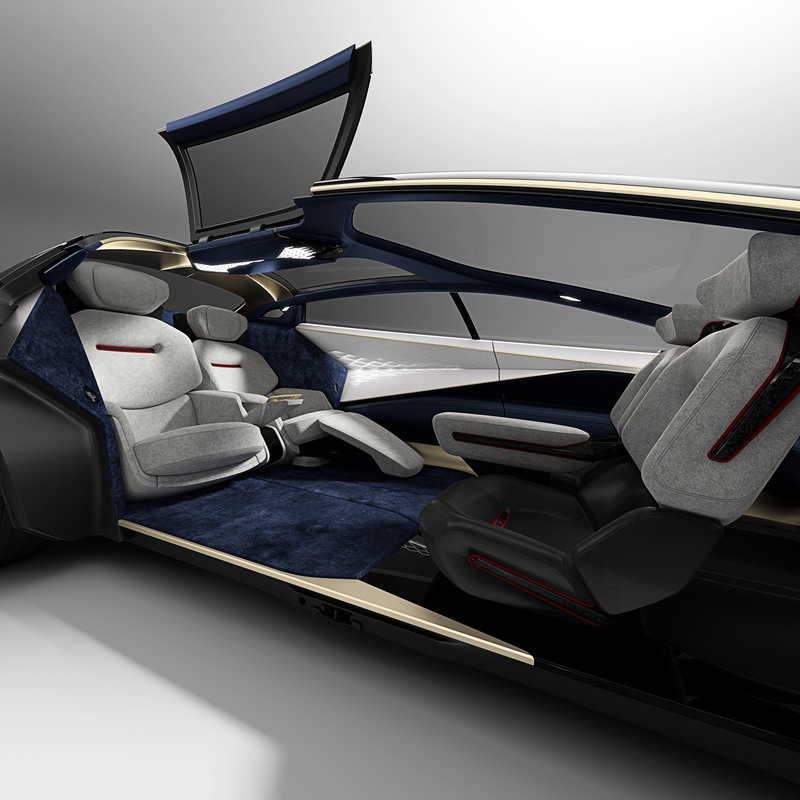 Snowdon's "unexpected" combinations of materials were applied to the interior, which sees modern materials like carbon fibre and ceramics paired with traditional materials such as cashmere and silks, which the designer claims have rarely been used in the automotive industry. As the car is electric, it negates the need for an internal combustion engine or gearbox. 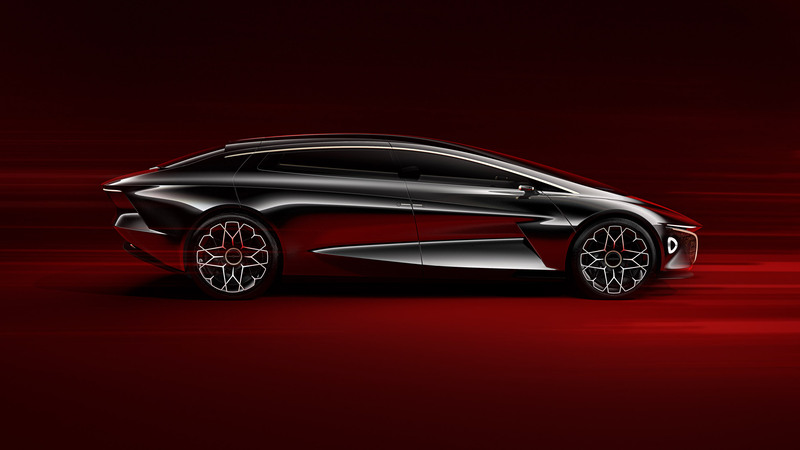 This meant that the Lagonda designers were able to make use of the interior space, as the electric batteries occupy the car's floor area. 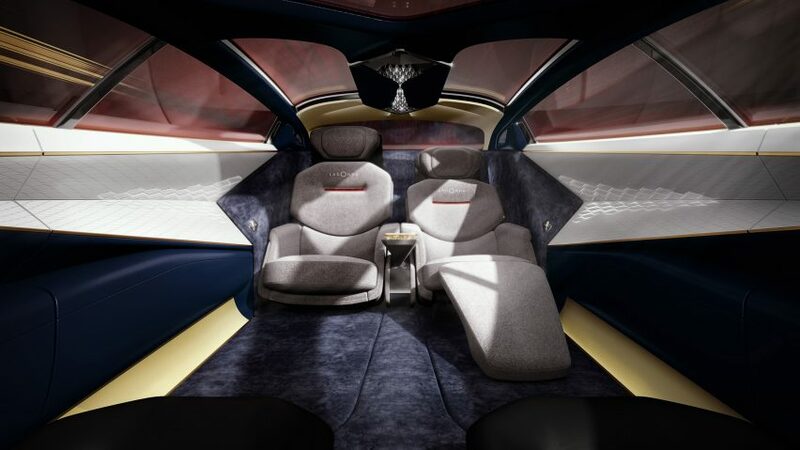 The car is able to accommodate up to four people, with armchair-like seats and heavily bolstered arms that allow users to "stretch out in luxurious comfort." 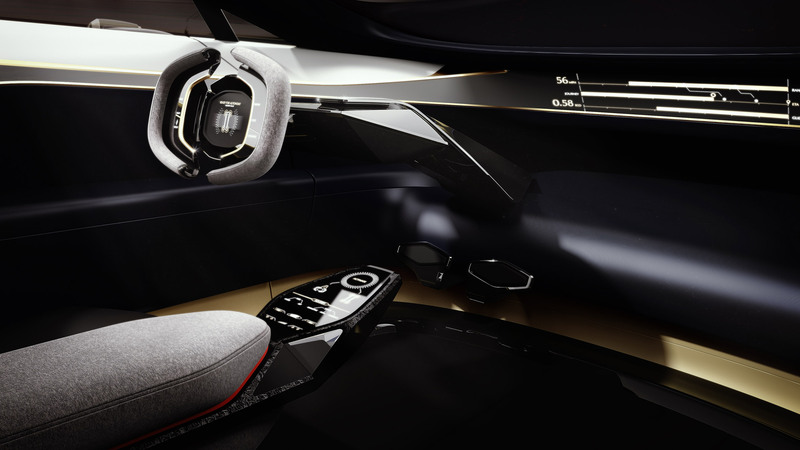 In keeping with level four autonomous driving, the Lagonda Vision's design incorporates a steering wheel that can either be moved from left to right-hand drive when needed, or that can retract entirely when in autonomous mode.